The MAZI project is developing a toolkit for building local, community wireless networks using Raspberry Pis. Venue: Summerhall, Edinburgh, UK. All events are free to attend. 18 October 2018 : Symposium with speakers and case study presentations. We have some stocks of Raspberry Pis to give away to people who attend a workshop. Build your MAZI Zone and take it home with you! The half-day workshops will provide “hands-on” opportunities to try out the MAZI DIY networking toolkit, based around the Raspberry Pi. The workshops will be divided into two groups: Workshop 1 will be for people with some coding knowledge (this can be quite limited!) who are interested in finding out more about it all works, and perhaps getting involved in supporting the on-going development of the open-source project. Workshop 2 is for technical novices and people with an interest in how the technologies can be used in domains such as; education, art & creativity, and civic & community participation. More about the MAZI DIY networking toolkit. There will be some Raspberry Pis given out to take home after the workshops. All equipment is provided, but you can bring laptops or smartphones. The MAZI project is concluding at the end of 2018. To mark the occasion we are inviting you to join us as we celebrate our achievements, share our stories and the lessons we learned, and perhaps most importantly, to discuss what should happen next. The symposium will present case studies from our pilot studies in Berlin, Zurich, London and northern Greece, along with talks by invited speakers. Building on the context of our own MAZI experiences, we will broaden out the debate with perspectives from outside the project. Where next? Future directions and challenges. To end the symposium day, we will present a panel debate with speakers, titled: From Do-It-Yourself to Do-It-Together: Perspectives on the future use of community networking technologies for grassroots social impact. Both workshops will run on the afternoons of the 16th and 17th of October. It is possible to attend either session or both. Workshop 1: Customising the MAZI Toolkit. Hands-on working with the Toolkit. Find out about the open source software behind the MAZI toolkit, running on Raspberry Pis. The toolkit enables the creation of a local WiFi network zone, along with customised applications. 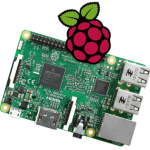 Raspberry Pis will be provided so you can try out the software and work on your own individual project or in small groups. We advise you to bring a laptop. Led by James Stevens, SPC.org, Mark Gaved, Open University, and Giannis Mavridis, University of Thessaly, Greece. Workshop 2: Using the MAZI Toolkit with your community. For people with interested in building local networks for education, art & creativity, civic & community participation, and more. This is an introductory workshop, and no technical knowledge is needed. The focus of this workshop is about exploring how “simple” WiFi connection technologies, such as the MAZI Toolkit, can be used with groups and communities to support social activities and share knowledge. All technology will be provided, but it would be useful to bring a laptop, tablet or smartphone. Led by Katalin Hausel & Lauren Lapidge, unMonastery, Elizabeth Calderón Lüning, Neighborhood Academy, Berlin. During the two workshops, Denise Allan of Wee Replicators will be demonstrating 3D printing and the use of 3D printing pens. Have a go at customising your own case for your Raspberry Pi WiFi network! 10.00 – 10.30: Welcome and introduction to the MAZI project: Michael Smyth, Edinburgh Napier University. 11.30 – 12.00: The Reverso Project, DIY networking, occupied housing and surburban Favelas in São Paulo, Brazil: Elizabeth Wright & Loyane Bianchini, Central Saint Martins, London. 12.20 – 12.50: Invited Speaker: Wee Replicators, widening access to digital making: Denise Allan, Wee Replicators, Edinburgh. 15.45 – 16.15: Invited Speaker: Chris Csíkszentmihályi. European Research Area Chair at Madeira Interactive Technology Institute, and director of the Rootio Project, a sociotechnical platform for community radio. 16.15 – 16.40: Invited Speaker: Jeremy Singer. Glasgow University, FRμIT: The Federated RaspberryPi Micro-Infrastructure Testbed.